While planning for Nipsey Hussle’s memorial service is underway, it will not be a ticketed event, according to Karen Civil. A TMZ report claimed the late Los Angeles rapper’s service would be held at the 21,000 seat Staples Center, as organizers expected the service to attract thousands. TMAZ claimed the tickets would be sold online through an unspecified website. Whether or not Hussle’s service is held at the Staples Center or another local venue, it is sure to attract a sizable crowd. Hussle, the Grammy-nominated rapper who released his first proper album last year was an active presence in Los Angeles, partnering with local entrepreneurs and private citizens to affect change and bring opportunity to his community. 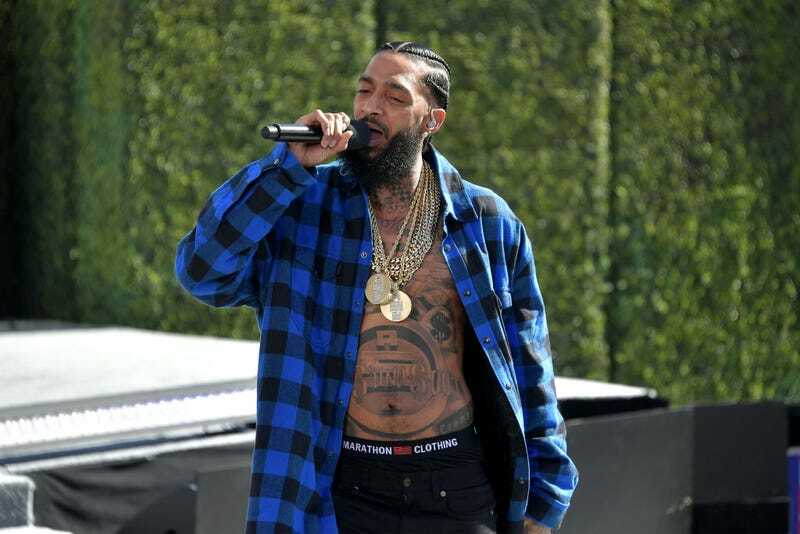 Hussle’s death was mourned by fans, business owners and law enforcement officials alike, with LAPD Commissioner Steve Sobroff recounting the road to a meeting planned the day after Hussle, born Ermias Asghedom, was killed in front of his Marathon store. Hussle made a consistent effort to invest much of his earnings from music into his Los Angeles neighborhood. After his shooting in front of his store, Hussle was transported to a nearby hospital where he was pronounced dead. Eric Holder, who allegedly had a verbal altercation with Hussle just before his death, is suspected of shooting the rapper multiple times. Holder has been charged with two counts of attempted murder and one count of possession of a firearm by a felon. Represented by Chris Darden, he faces life in prison if convicted.